After extensive research on new methods of reusing recycled plastic bottles, the DAAI Technology Co., Ltd. held a press conference on November 4th 2009 to unveil its eco-friendly fabric products. Showcasing blankets, scarves, shirts and even doctor’s coats made from recycled plastic bottles, Chairman Huang Huade explained that the eco-friendly fabric absorbed moisture, repelled perspiration and was fast drying. The introduction of these products helped raise awareness for environmental protection, and the press conference was held in the hopes that the products would gain wider acceptance in mainstream society. 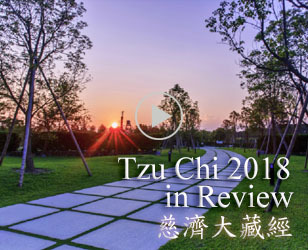 Profits from the sale of these products would be donated to the Tzu Chi Foundation for Tzu Chi’s humanitarian and charity work. "Turn trash into gold, gold into love, love into a purifying stream, and surround the globe with it." This was the principle upon which a group of entrepreneurs founded the DAAI Technology Co., Ltd. The company is dedicated to the research and development of eco-friendly products, such as blankets, scarves, shirts and medical personnel apparel, all made from recycled plastic bottles. 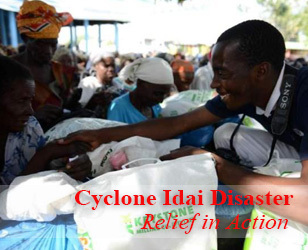 The eco-friendly blankets had been used in Tzu Chi’s disaster relief campaigns since 2007, and over 250,000 blankets were distributed in more than 20 countries. 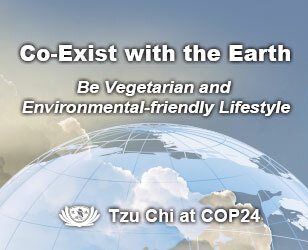 Tzu Chi's combination of charity and environmental protection provided a goal and direction for the entrepreneurs' humanitarian missions. Since 2006, the Clothing Research and Development Group of the Tzu Chi International Humanitarian Aid Association (TIHAA) had proposed developing fabric made from eco-friendly materials and had produced shirts, jackets, thermal underwear, sleeping bags, and blankets all from recycled materials. To actively promote the recycling of plastic bottles, entrepreneur volunteers in the Tzu Chi International Humanitarian Aid Association formed the DAAI Technology Company in 2008 under Master Cheng Yen's approval. The aim was to bring the idea of environmental protection and material recycling to the development of environmental technologies. At the press conference, representatives from the DAAI Technology Company were conspicuous in light apple-green shirts; the shirts were made from approximately 15 green bottles and did not require the addition of dye. Also featured were the latest designs of shirts, blankets, scarves, and tote bags, all made from recycled materials and available for purchase at Jing Si Bookstore locations throughout Taiwan. With the advent of global warming, reducing consumption of or reusing resources grows increasingly important. DAAI Technology Company brought together entrepreneurs and volunteers and through promoting eco-friendly products, exemplifies what it means to be responsible citizens of this earth. Being able to use renewed or repurposed products is a blessing, and it helps to ensure the preservation of earth for future generations.